Brian Perrochet is a Research Scholar in the Litmus program at NYU’s Marron Institute. Mr. Perrochet collaborates with Litmus principals to pursue funding for research and practice improvement activities supported by the BetaGov component of Litmus. He also assists in the preparation of manuscripts and reports for the SCF Resource Center and Segregation Solutions. He has been working in policy research and social-science research since 1987, when he was a consulting editor/analyst for the RAND Corporation. 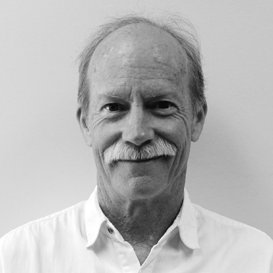 Before joining BetaGov in 2015, he worked for 23 years developing research protocols and related materials for the UCLA Integrated Substance Abuse Programs, which tested behavioral and pharmacological therapies for the treatment of substance-use disorders. Mr. Perrochet has a bachelor’s degree in English from UCLA.